Most computer and video game junkies confess that they love playing games because it takes them to a whole new world. This is why RPG’s or role-playing games are highly popular. You get to be someone else, you get to set out in an adventure, you get to carry the weapon of your choice, and you get to save the world or at least make it a better place. However, this won’t be possible if your computer lags and freezes all the time. For a gamer on-the-go, your magic carpet is your laptop and it will not take you anywhere if it is not in its best possible condition. It is never on the same level with a laptop that is meant for office use and document processing. Here are some tips on how to find the best laptops for gaming. If you can afford it, it is best to choose names that you can trust. 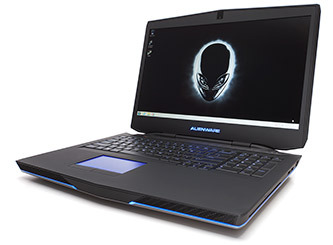 These brands include Alienware, Maingear, Northwest, and MSI. However, if you cannot afford any of these, you can still play high-end or high-resolution 3D games. You just need to make sure that your laptop has the right stuff inside. Games. What kind of games do you play? If you only play browser games or emulated games, then you do not need to worry too much about your processor. But, it matters if you like playing high-end games. Mark. Compare and choose the processor with the highest benchmark score in the specific game that you play. It comes from the comparison of different processors, just like test scores, for a particular game. If you want the best gaming processor, prepare to shell out a thousand bucks or more. Intel’s Core i7, AMD Fx, and AMDA10 are highly recommended. If you cannot afford these, you can go for Intel Core i5 or AMD A8. You can also read the guide for best gaming laptops under $1000 at laptopsea website. A gamer should never take the memory for granted. It is best to go for a laptop with 32 GB of RAM but if you cannot afford it, 8GB or higher will do. Choose at least a dual graphic or video cards if you want a realistic gaming experience. This will allow you to maximize the game’s design. If you can afford it, you can get even more powerful video cards. Best choices are AMD CrossFireX and Nvidia SLI. Aside from these, you should also consider other gaming needs such as the laptop screen size – the bigger, the better, sounds, and even the laptop bag for your magic carpet’s protection.